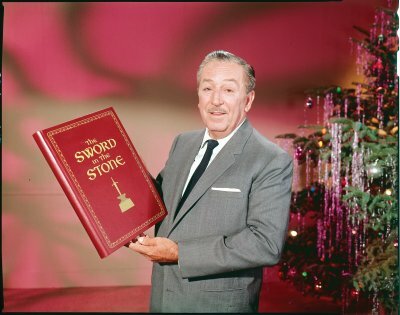 Let's stay with "Sword in the Stone" for a moment. 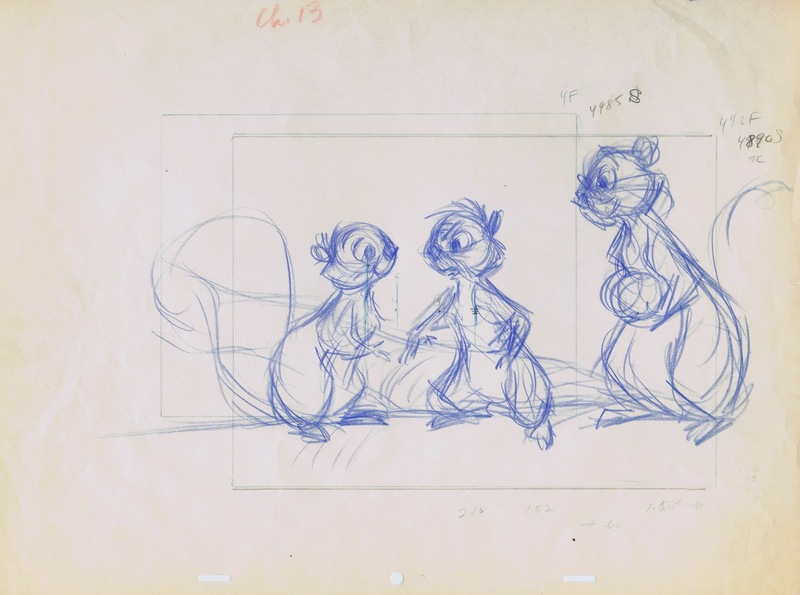 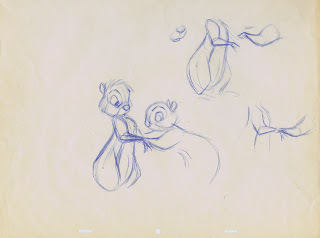 Juan Alfonso asked to see some squirrel sketches from this film, so here they are. Frank Thomas was very fond of the squirrel sequence, and after he had passed away this section from the film was shown at his memorial. 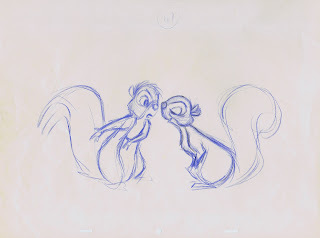 It is a bitter sweat moment in the movie, when the girl squirrel falls in love with somebody who turns out to be a human. 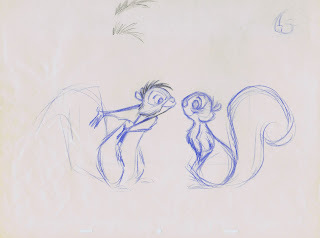 After she flirts with Wart as a squirrel, her disappointment is so devastating when she finds out he is a human. 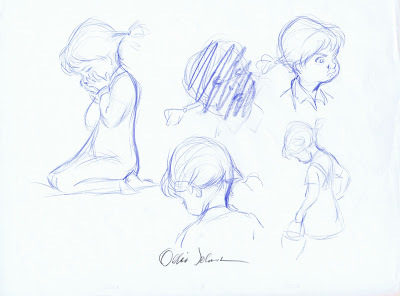 It breaks your heart. 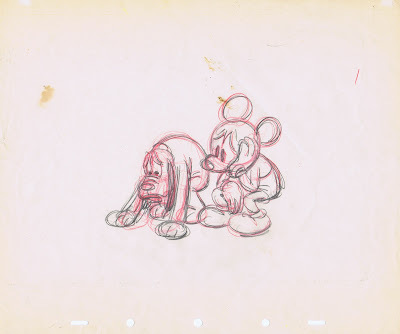 This kind of emotional material is what Frank handled so well, in many films. at some squirrels, they apparently were causing a big mess behind his house. 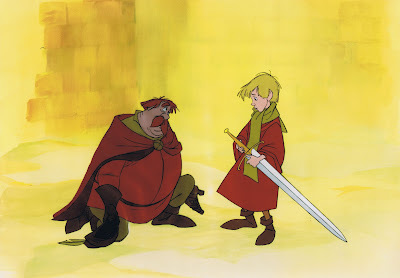 I gave him a hard time about it. 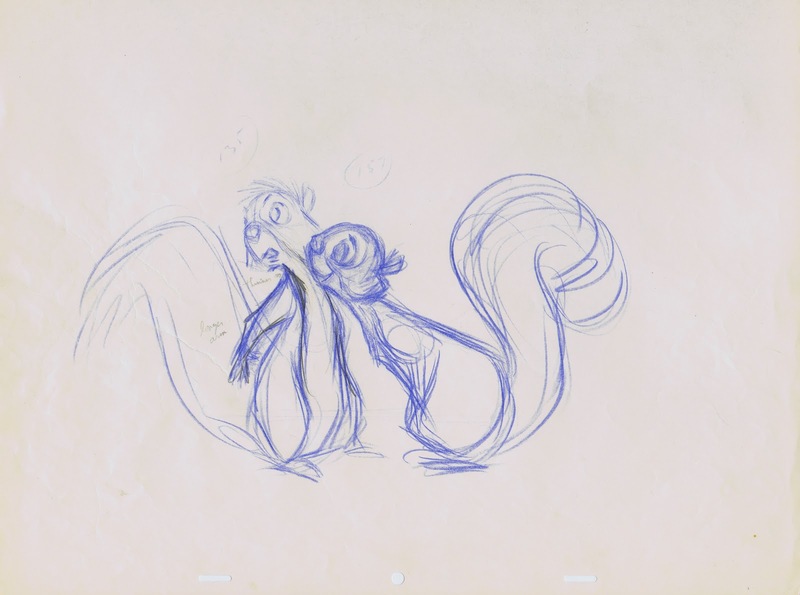 Bill Peet storyboarded this sequence, and with Frank's acting it became another animated masterpiece. 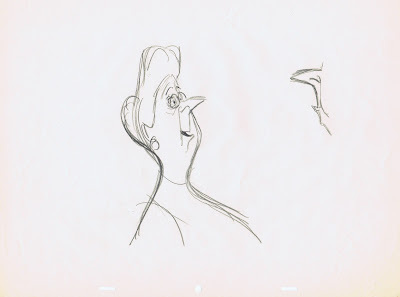 Remember the great TV parody sequence in "101 Dalmatians" called "What's My Crime?" ? 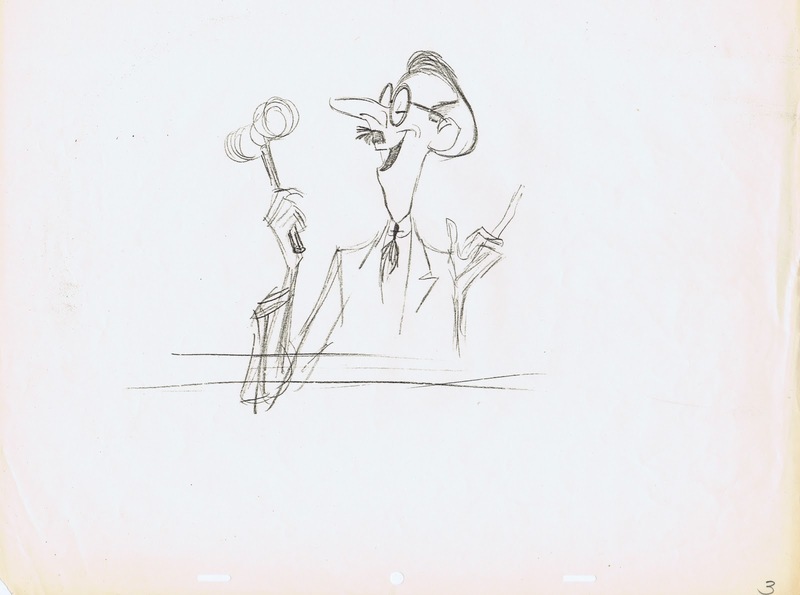 Even if you have never seen the American TV show "What's My Line", which the animated version is based on, the humor and satire are so strong and enjoyable to watch, way past the 1960ies. 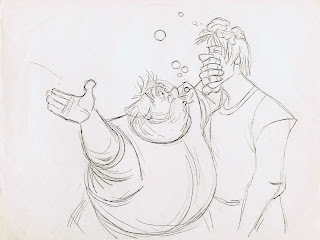 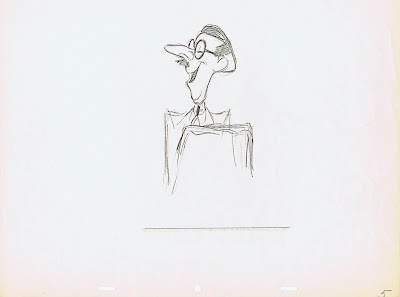 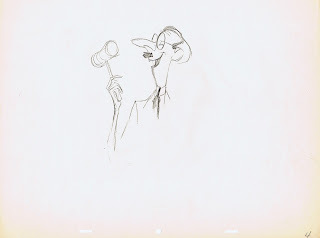 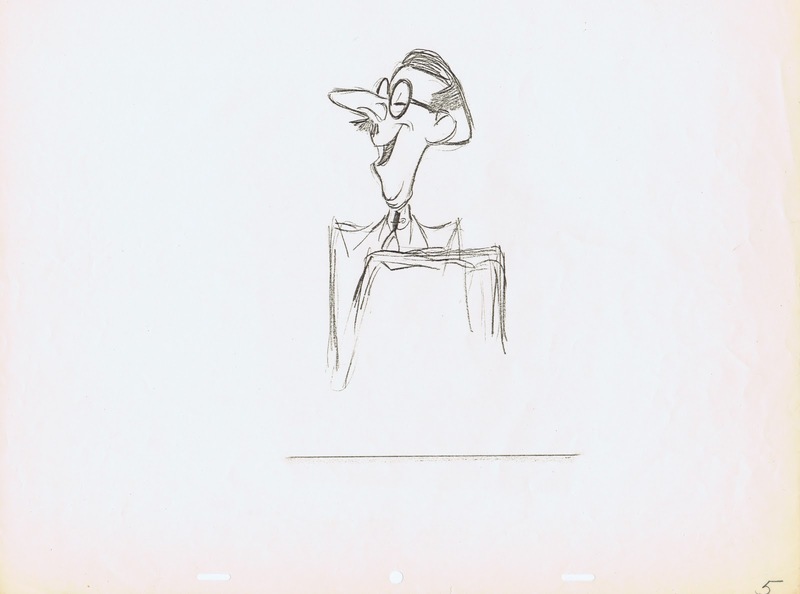 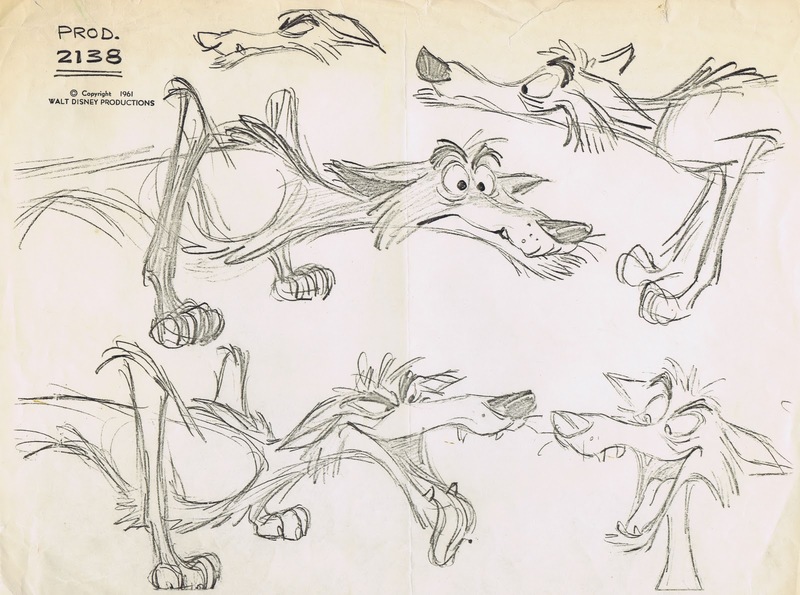 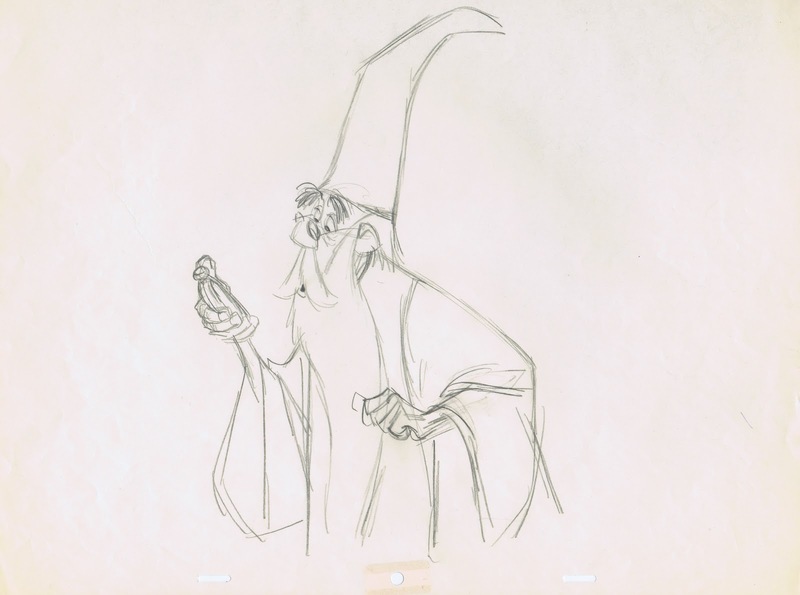 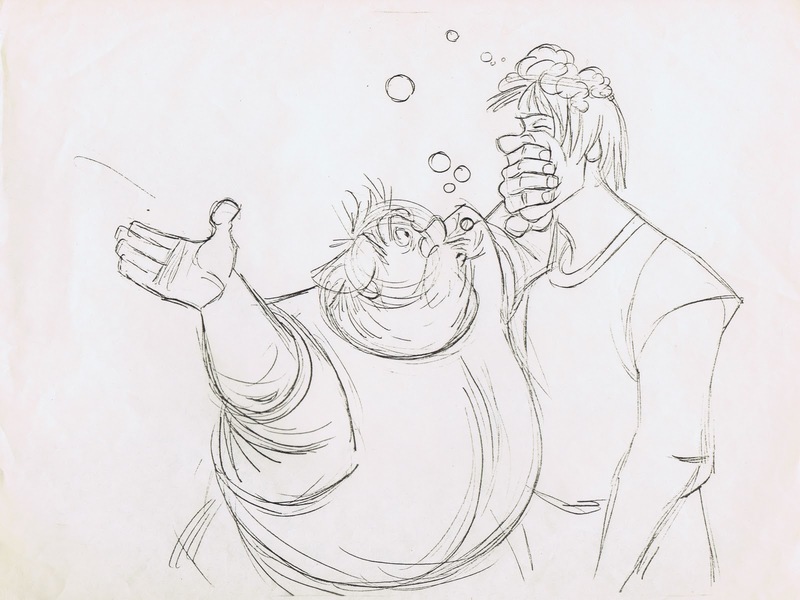 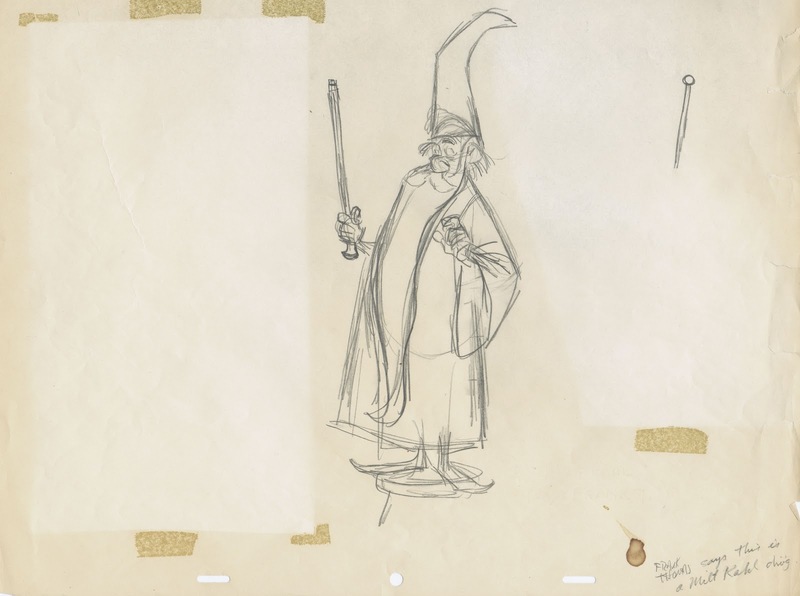 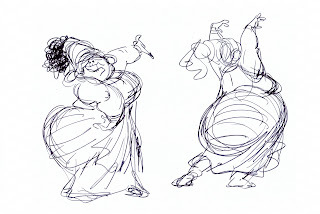 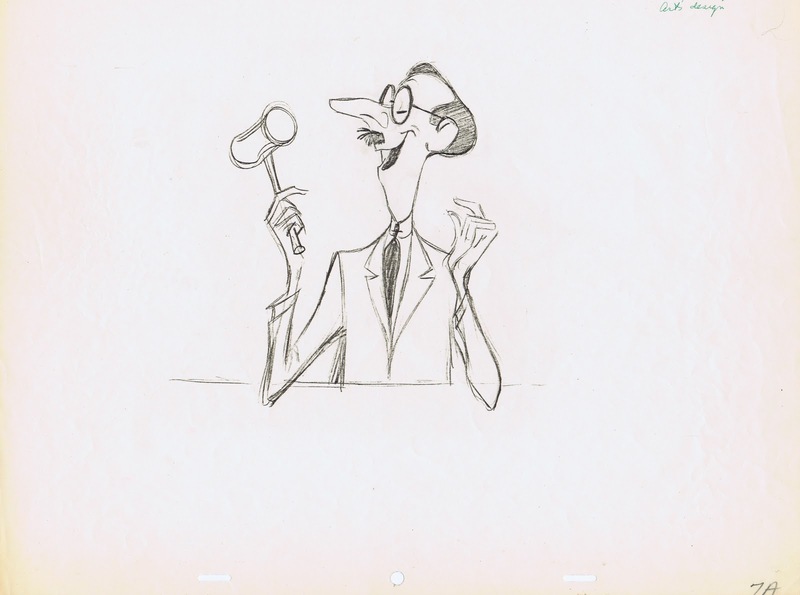 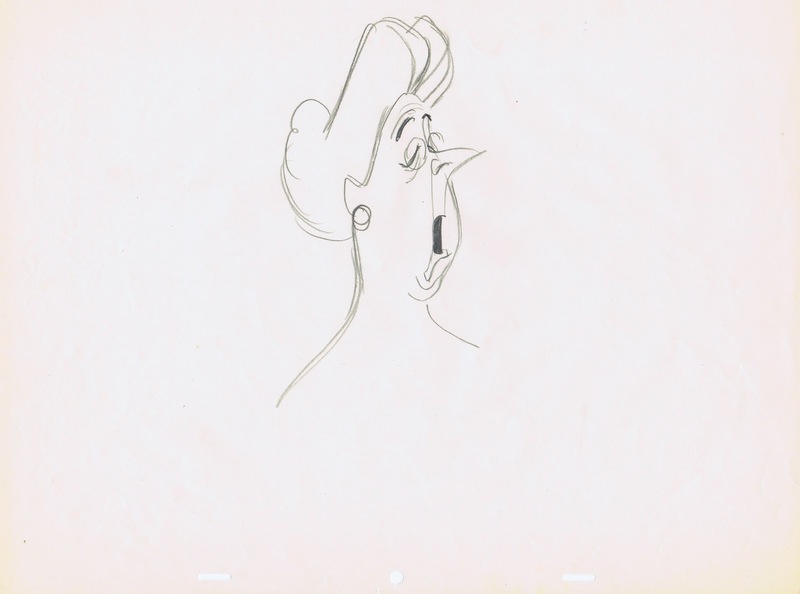 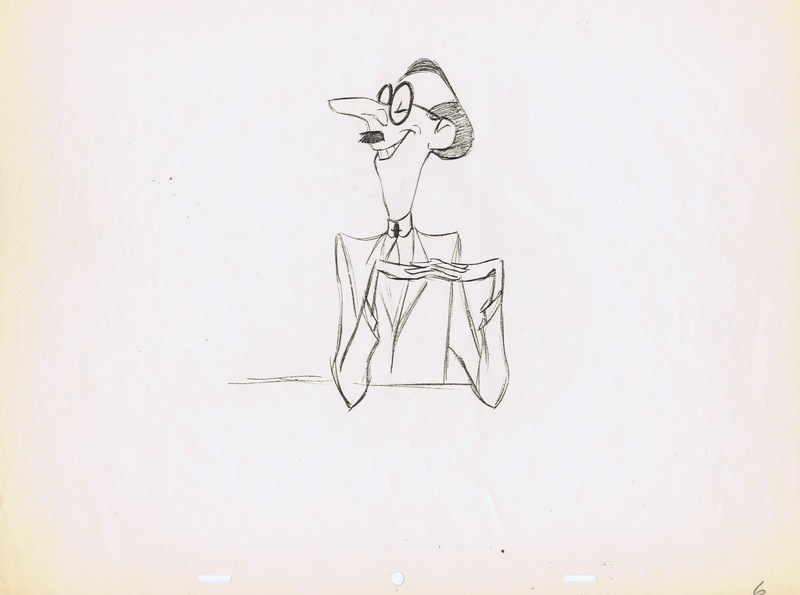 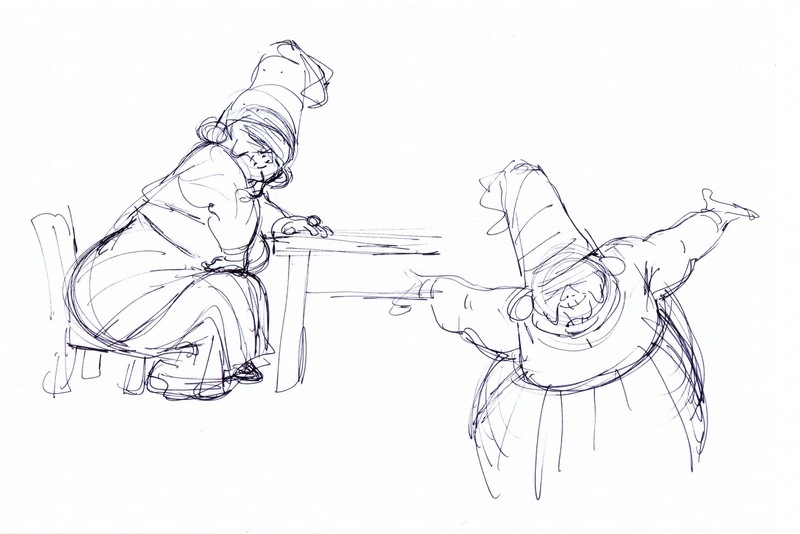 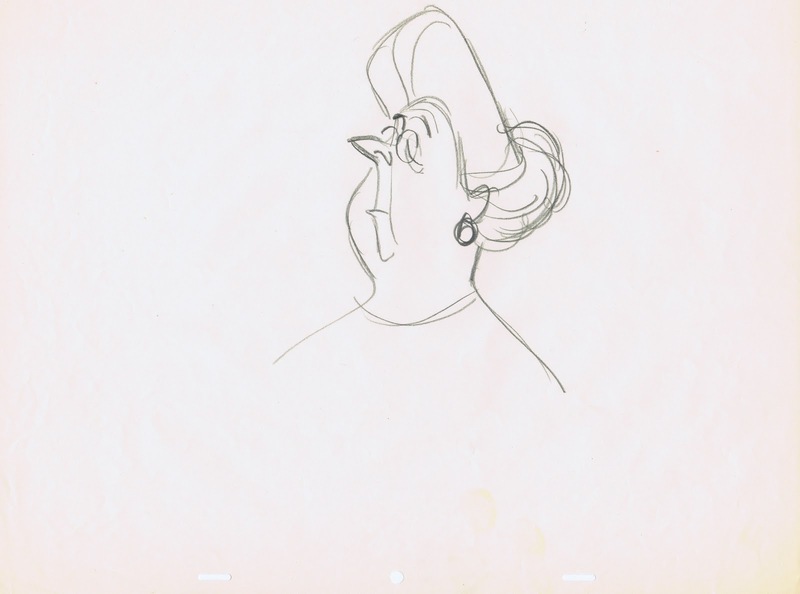 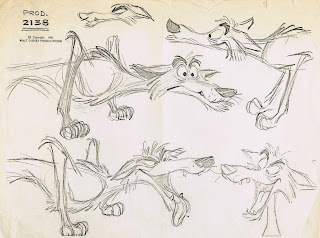 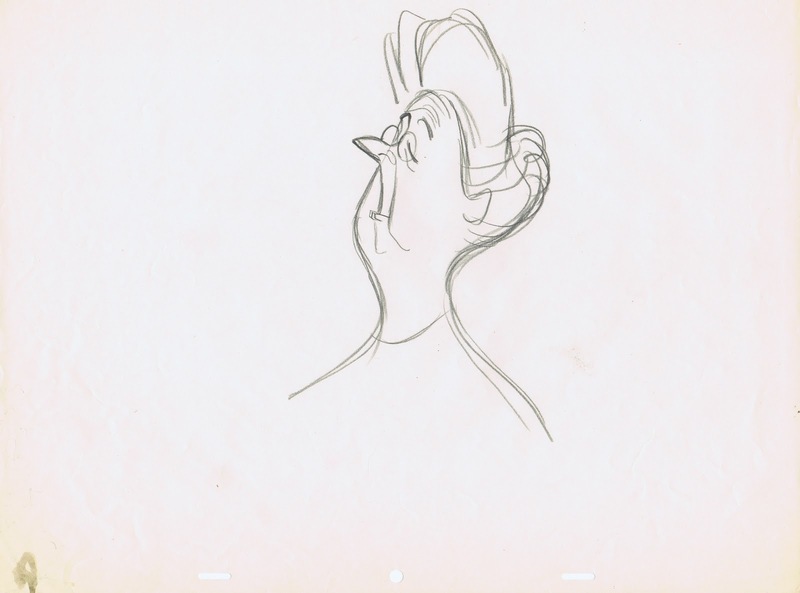 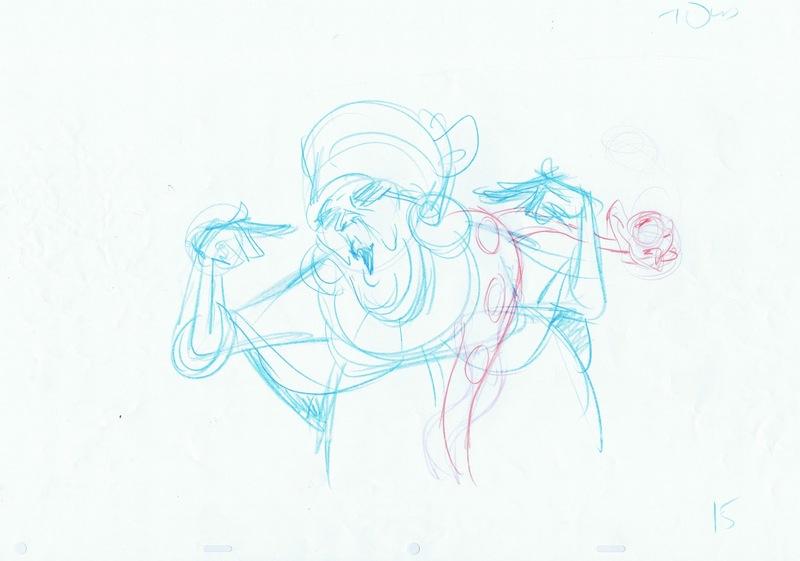 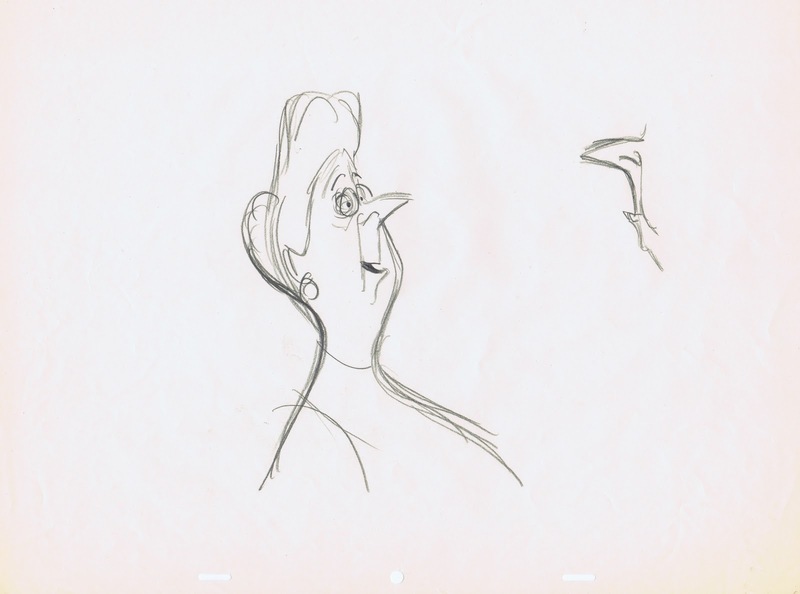 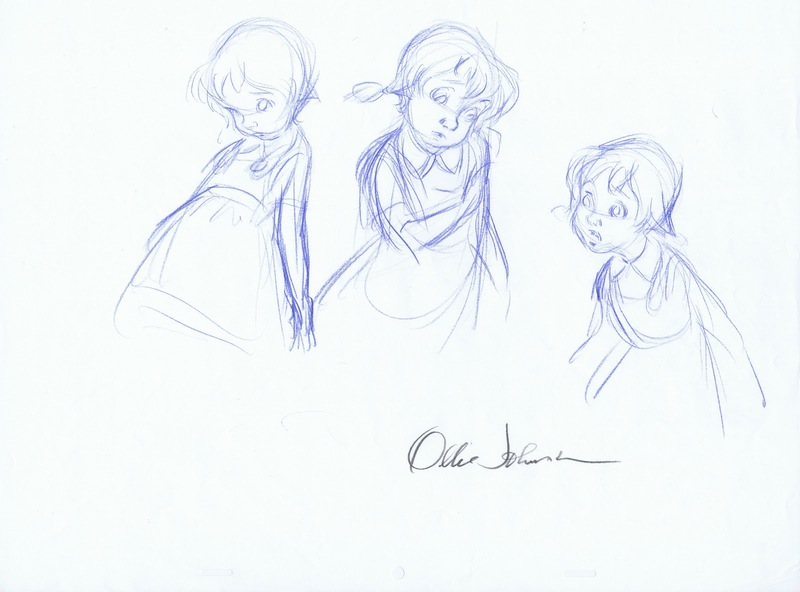 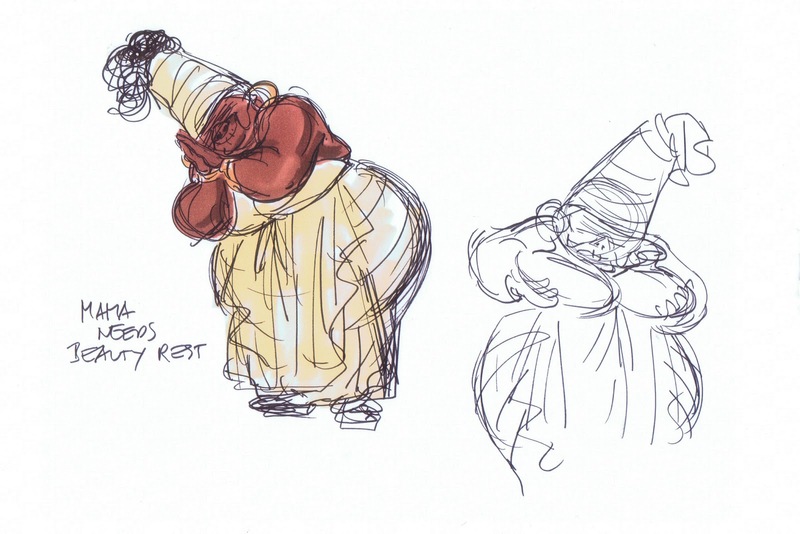 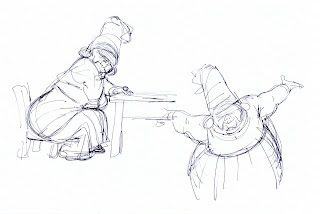 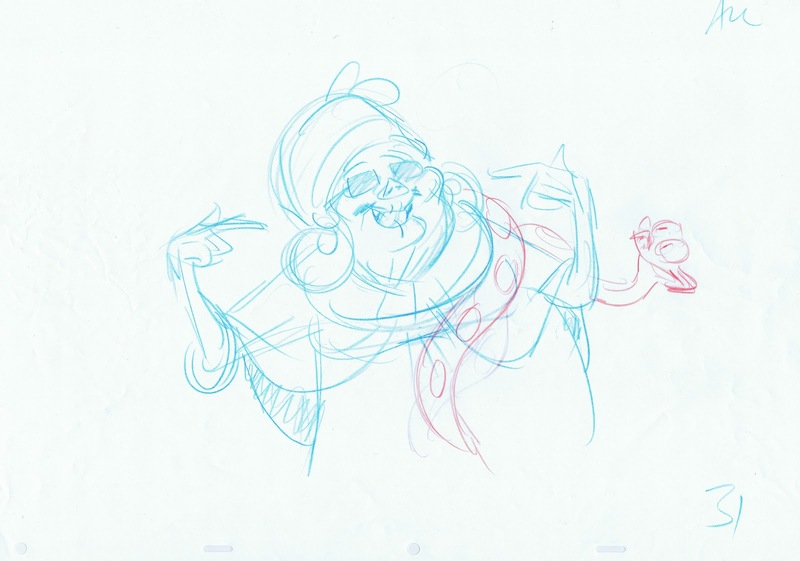 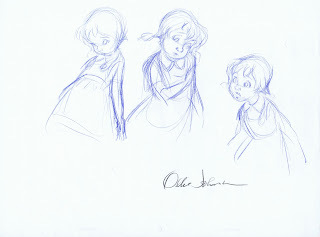 Here are are a few character design sketches by Milt Kahl, no doubt based on story drawings by Bill Peet. 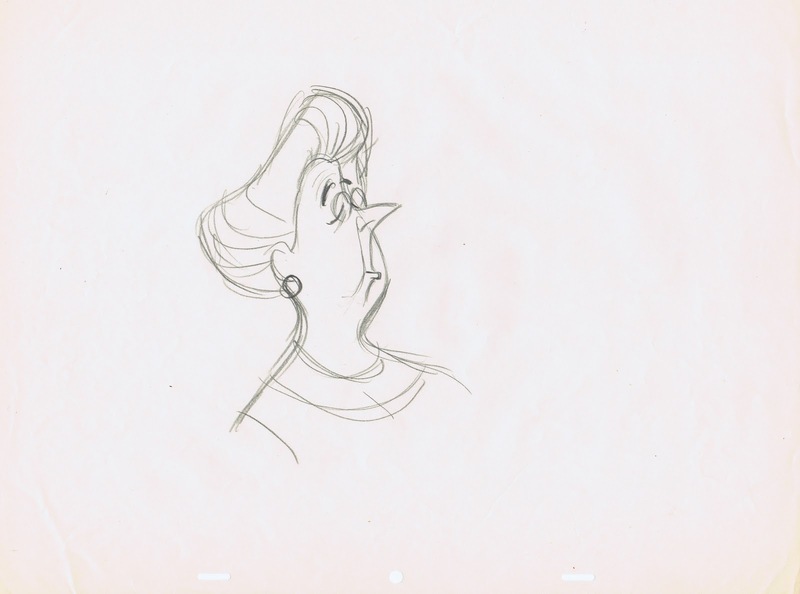 They show one of the questioners Miss Birdwell and the Quizmaster himself. 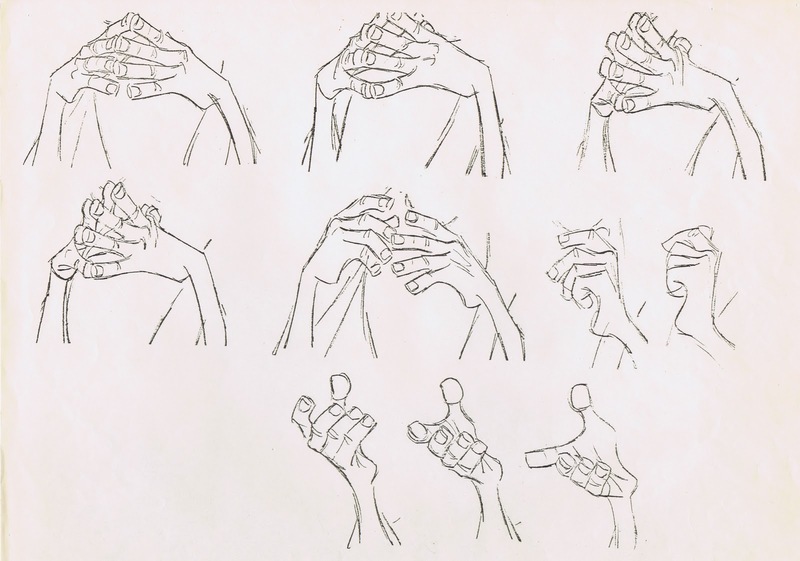 I can't ever get enough of Milt's graphic abstractions, such as the Quizmaster's hands, fingers interlocked, forming the shape of a bridge or something like that. 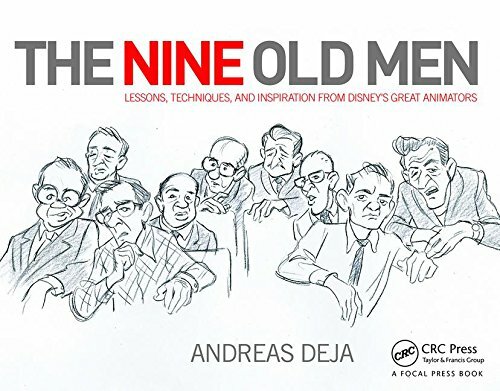 Some of you might recognize a drawing influence of Ronald Searle, who's work affected animated projects from many studios in those days. 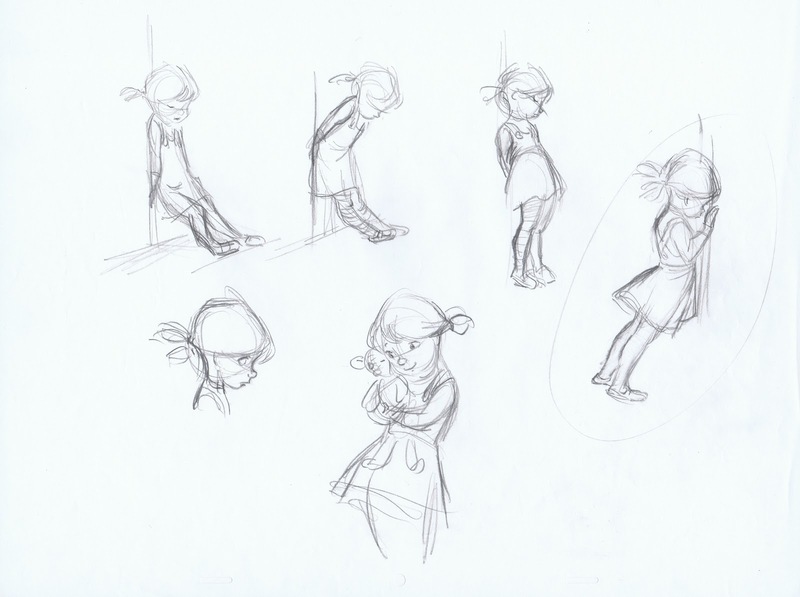 When designing a new character, it is entirely possible to get off to a false start. 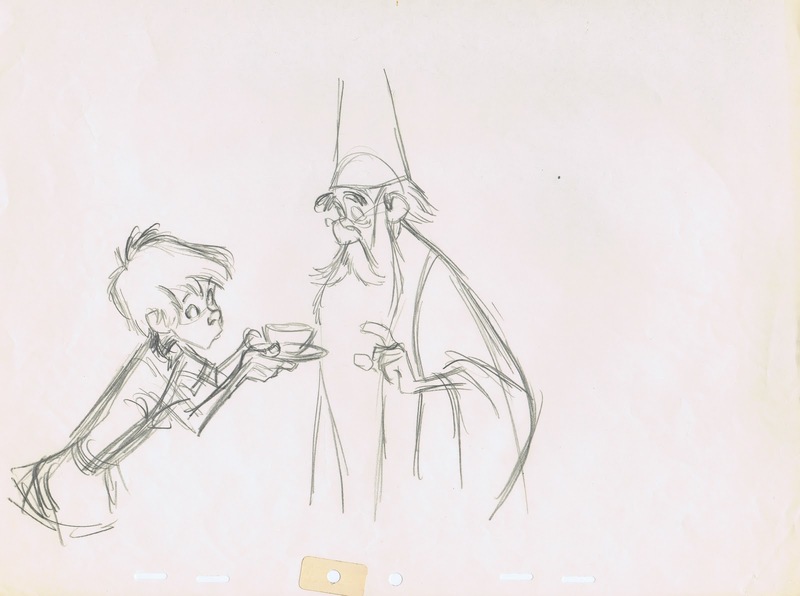 And that's no big deal, as long as you haven't fallen in love with your first attempt. 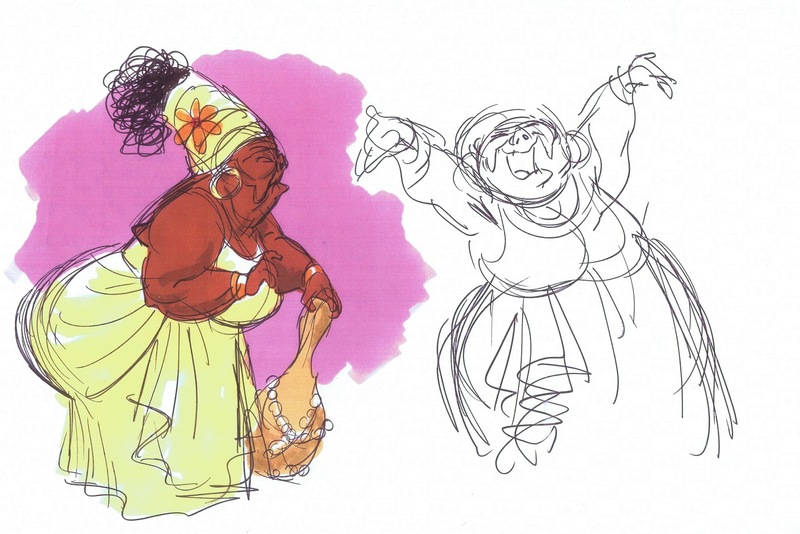 I almost did this with Mama Odie, before we started production on "Princess & the Frog". 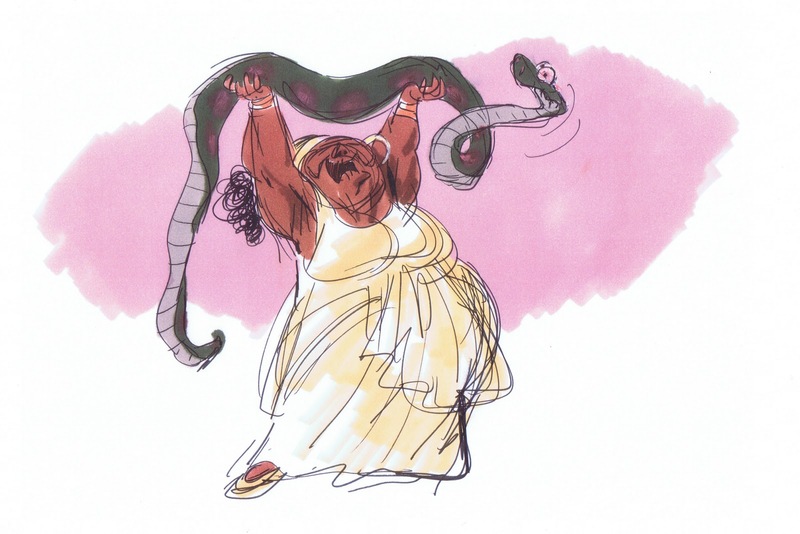 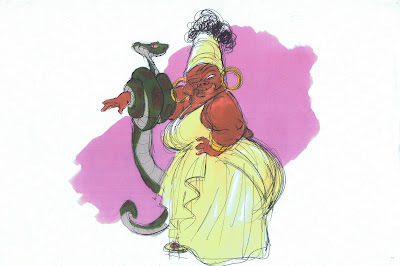 Mama Odie is 197 years old, she is blind and has a seeing eye snake. 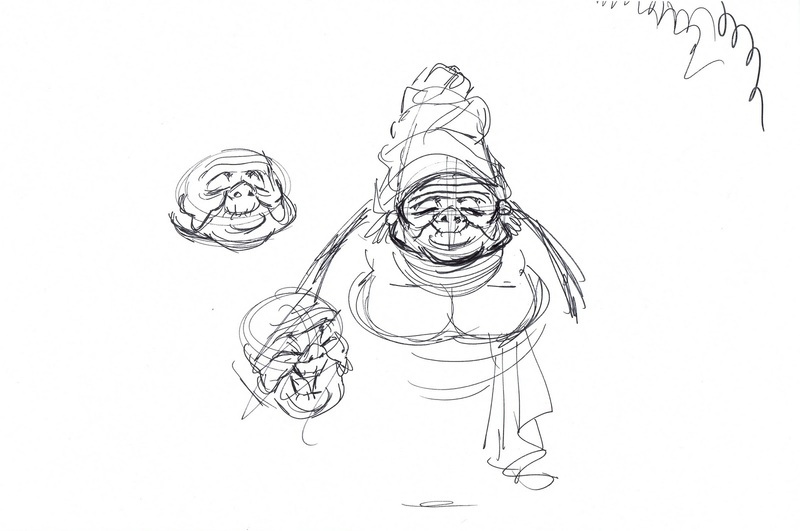 Her home is a boat that got stuck in a tree after a storm. 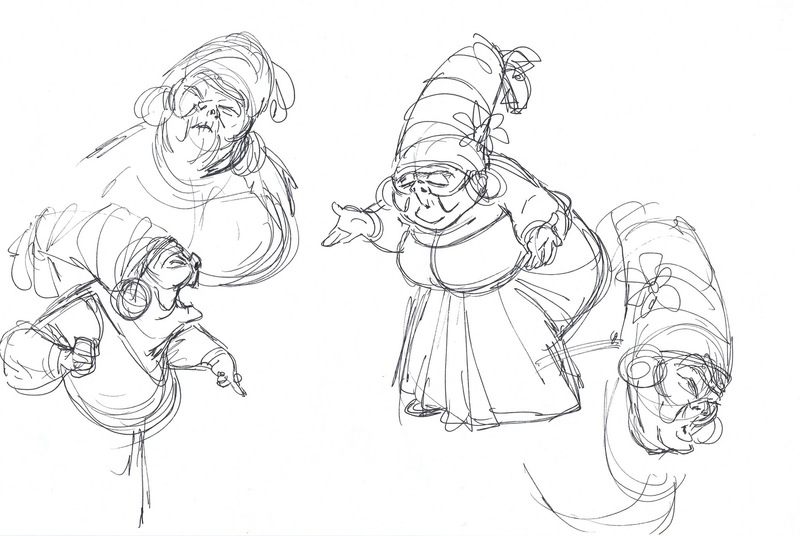 She is the one who can help the lead characters to return to their human form. 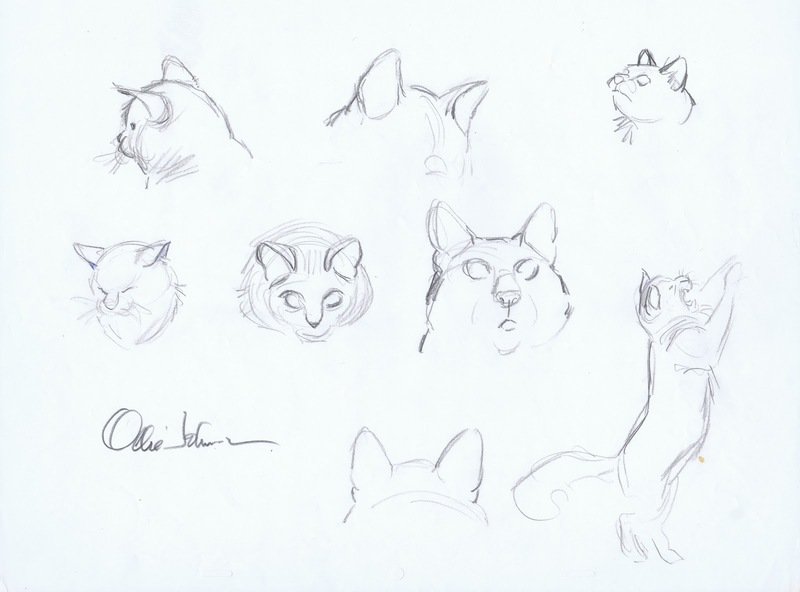 These are sketches I made right after the briefing. It was fun to get started on such an eccentric character, and after a while drawing her became easy and very enjoyable. 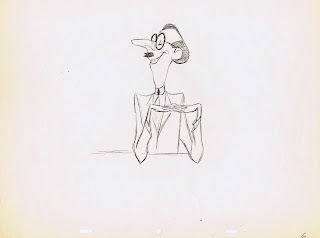 I got to a point where I thought, this might be the character. 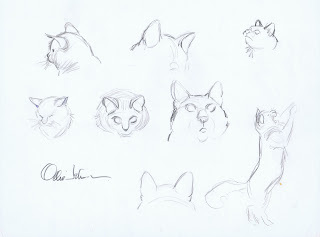 When I showed these sketches to Ron and John, their response was positive, but they pointed out a few things I had missed. 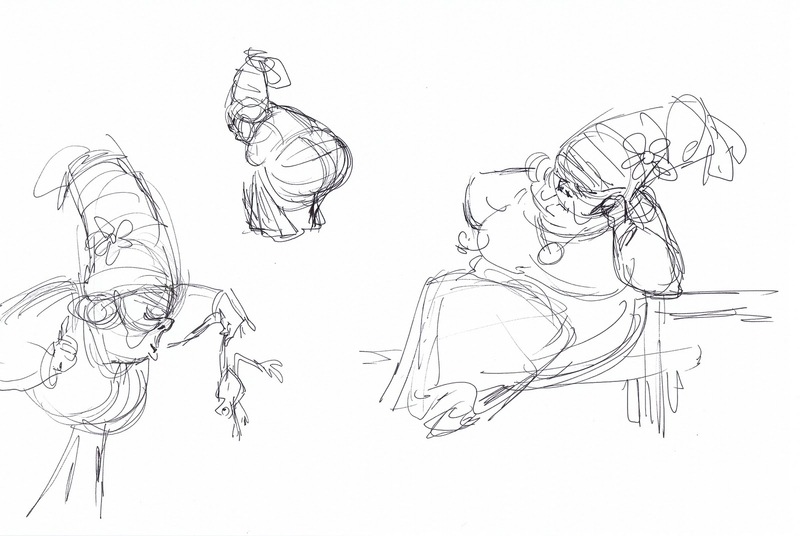 At an age of 197 there had to be a way to show bony limbs, she needed dark glasses (I had avoided them in fear of not being able to show emotional change) and she should be a lot shorter. 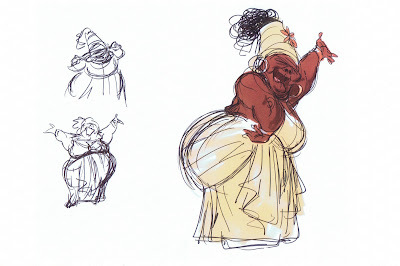 So I visited our story guys Paul Briggs and Toby Shelton, who were working on Mama Odie sequences. 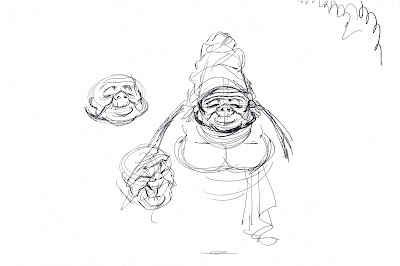 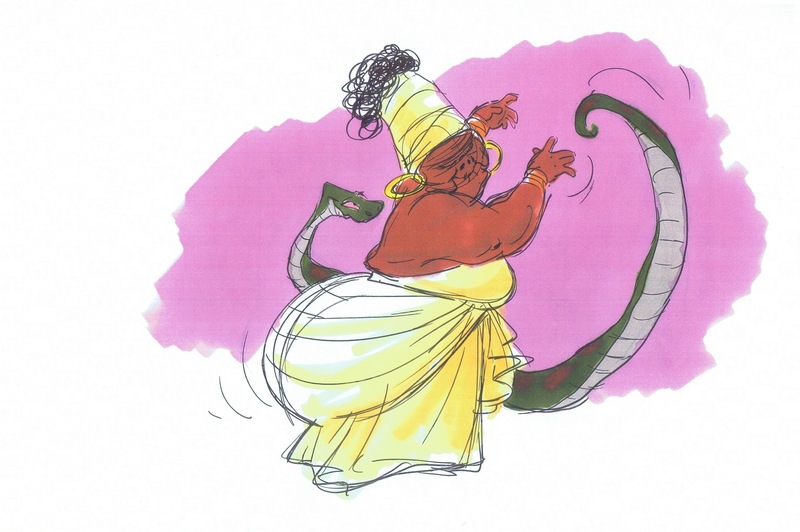 Their story sketches showed an older looking character with a twisted sense of homor. 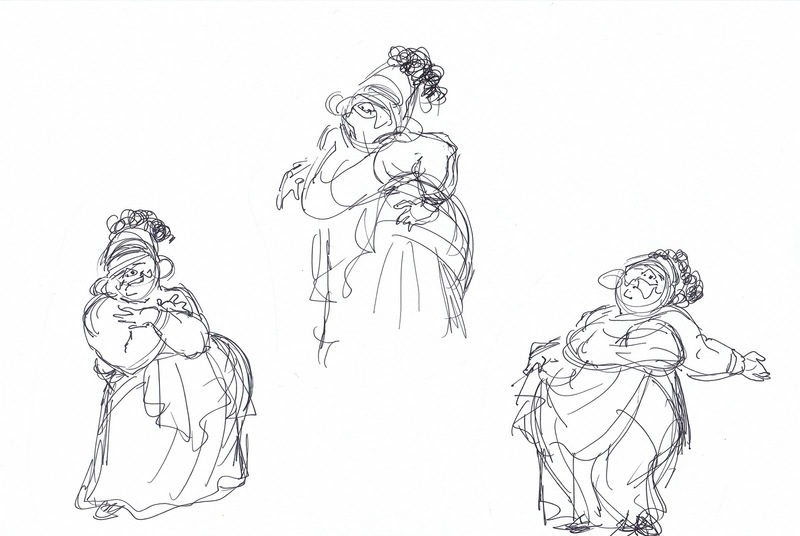 I liked how they drew her, and I was able to use that concept for the final design. 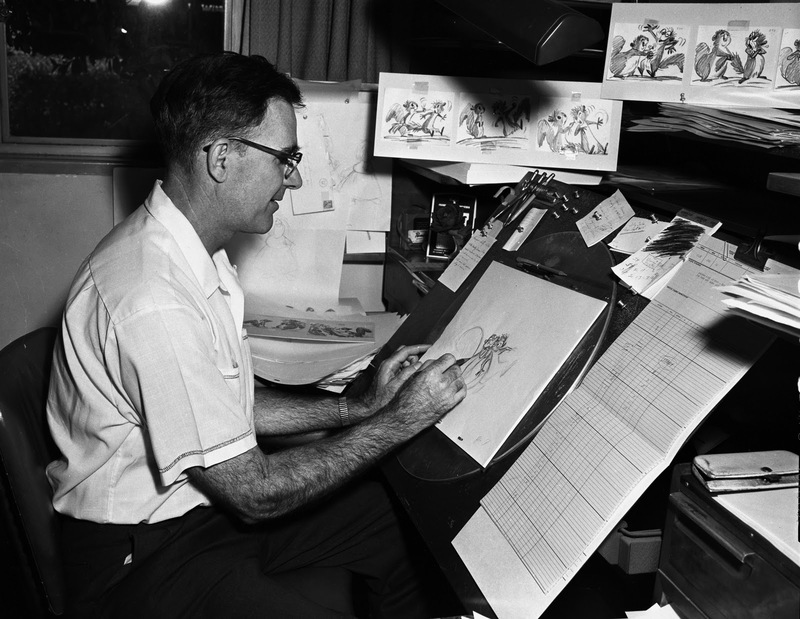 Ollie Johnston did a lot of work on "The Rescuers". 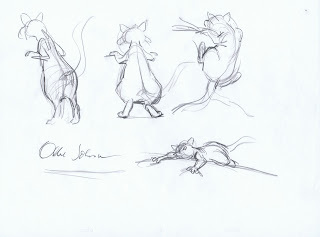 The mice Bernard and Bianca were developed by him and Frank Thomas. 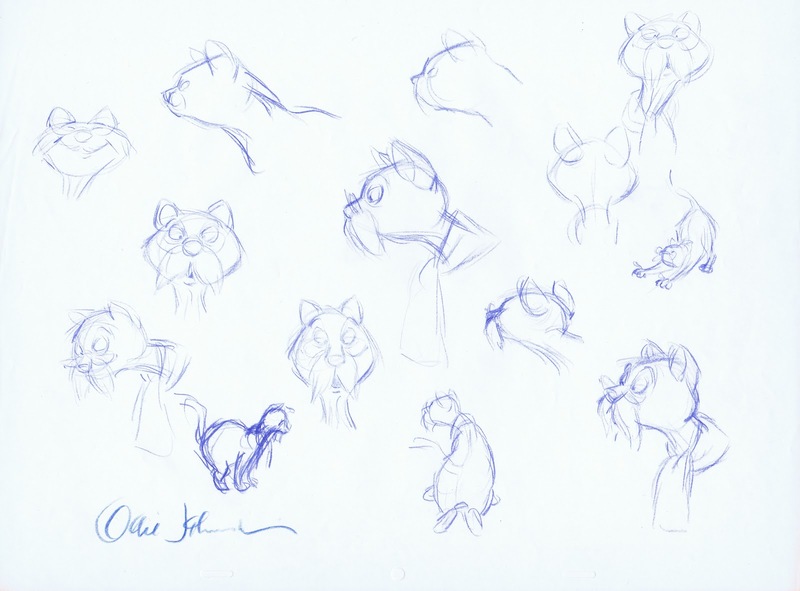 Most key personality scenes of characters like Orville, the albatross, as well as Rufus the cat and Penny were animated by Ollie. Part of the reason for this big amount of footage was that he didn't over analyze. 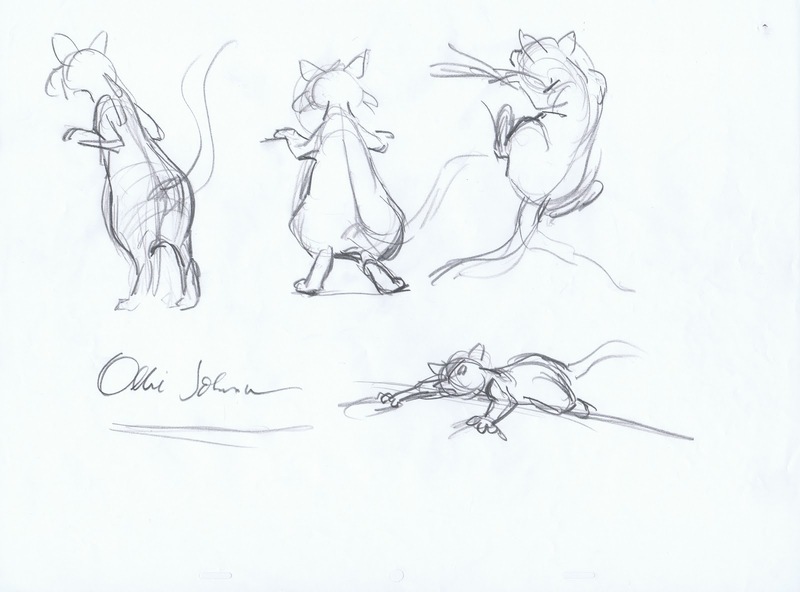 Ollie had a gut idea about who his characters were and how they felt in each scene. And he really did kind of fall in love with them after some initial research. 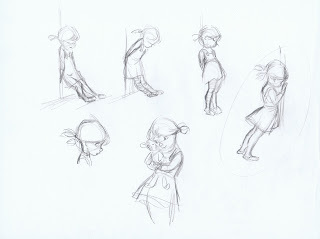 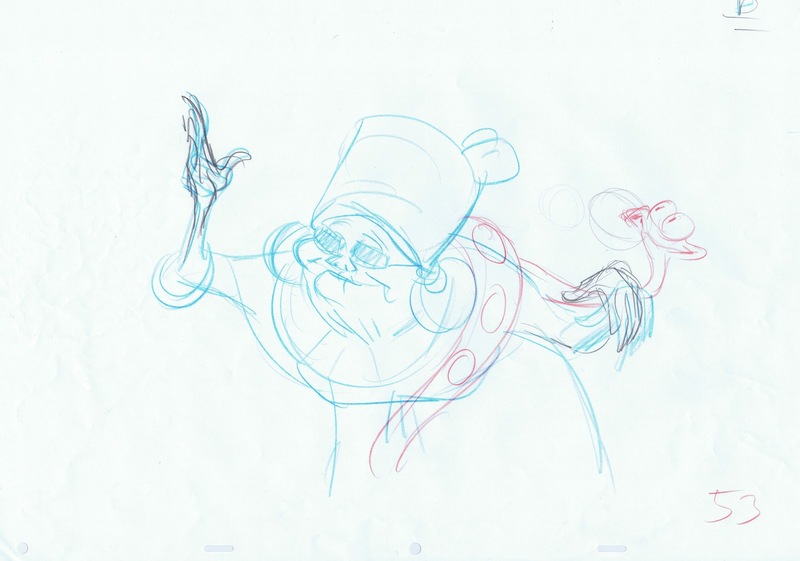 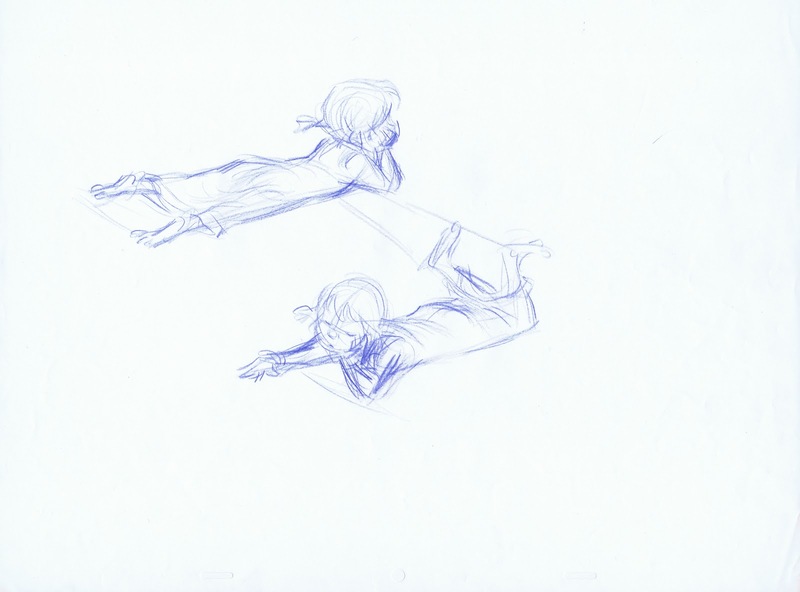 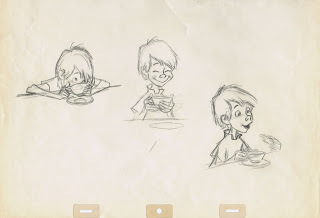 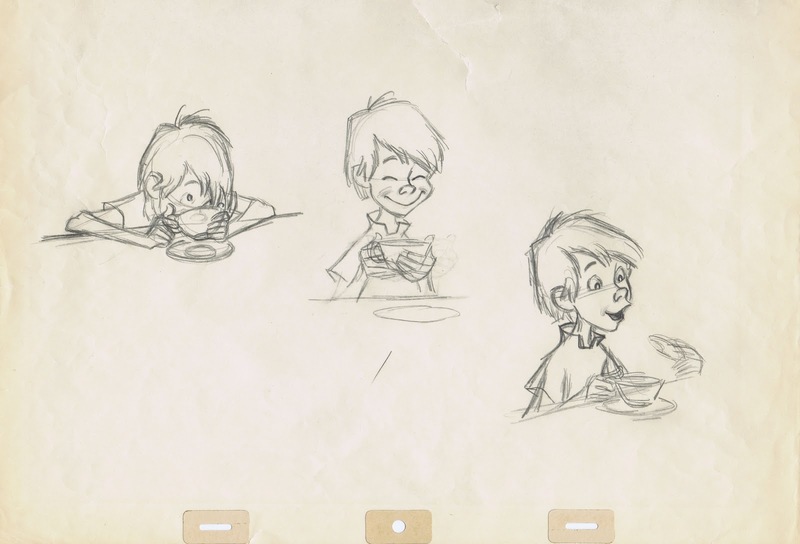 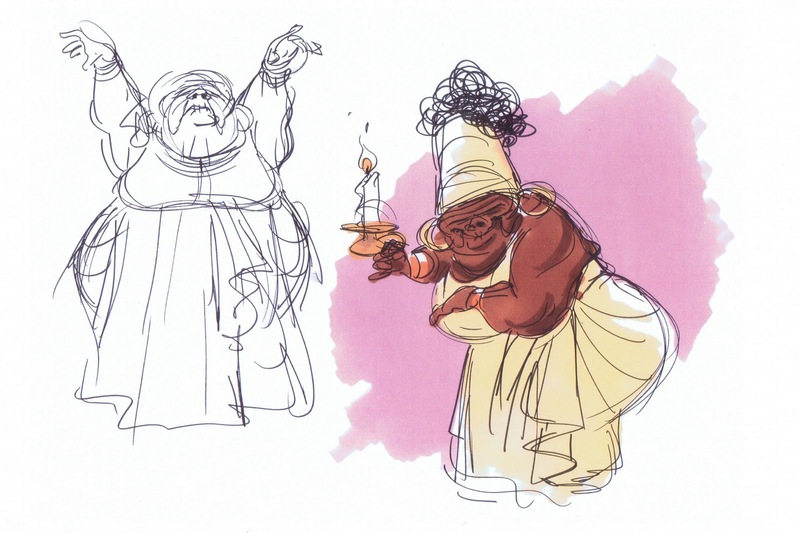 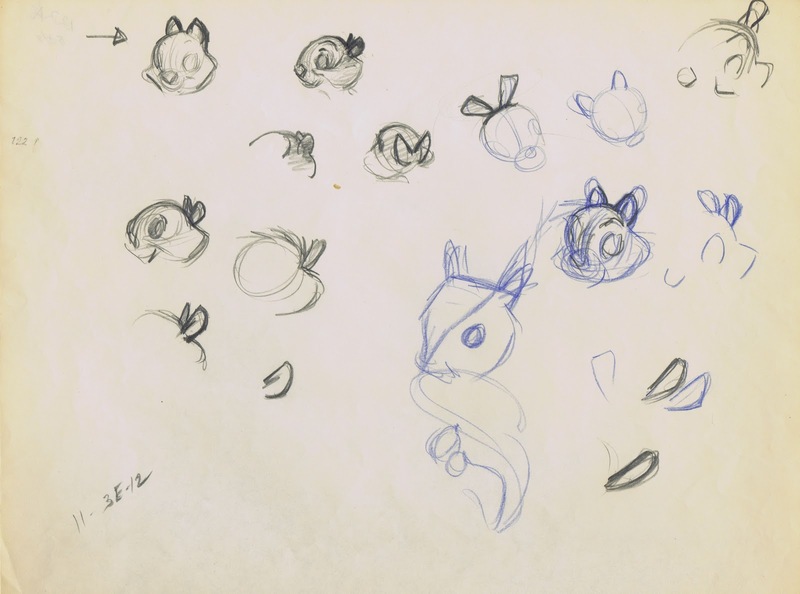 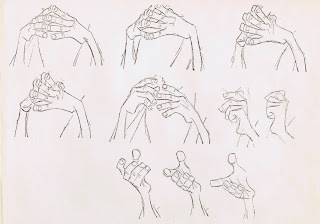 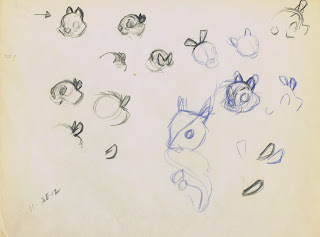 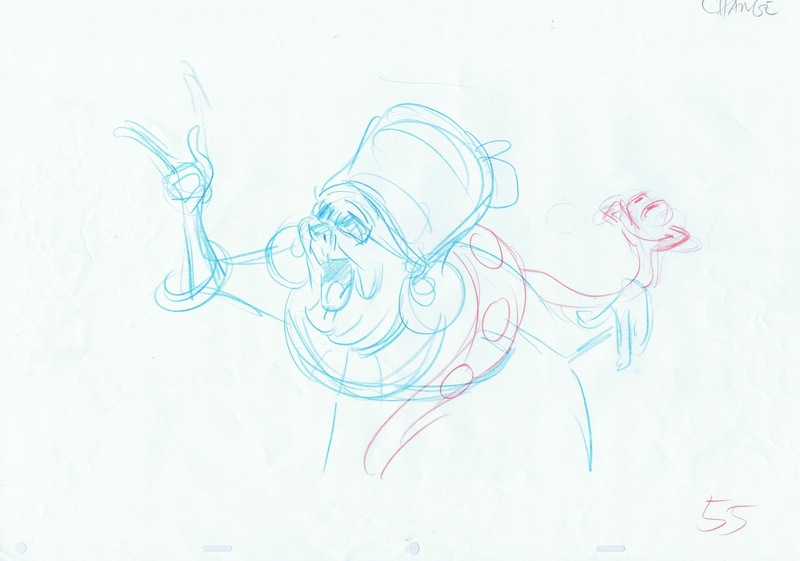 These are development sketches that were done before animation began. 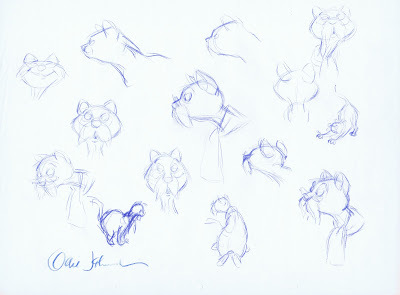 As far as Rufus is concerned, John Canemaker is right, that character ended up being a self portrait. 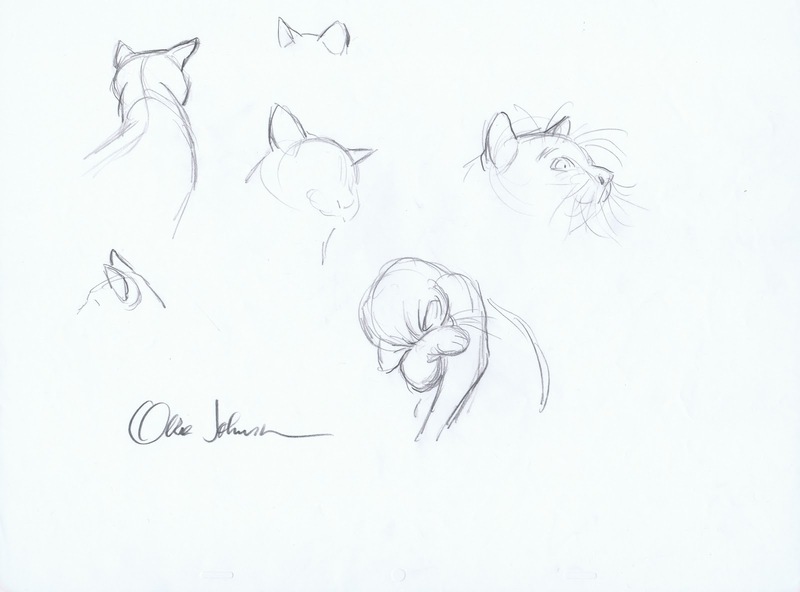 I love these realistic studies of a cat, the way form and shape of ears are thoroughly analyzed. 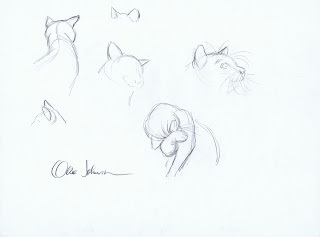 The sketch of the cat scratching it's head is amazing. 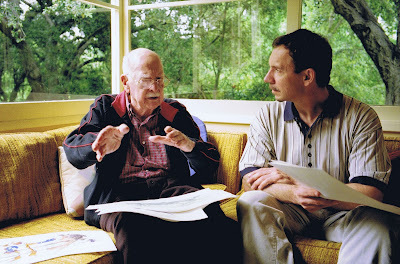 During the few years before Ollie's passing 2008 I tried to visit him at his home in Flintridge as often as I could. Even though it had gotten difficult for him to talk, he did welcome company and was grateful to people stopping by and spending time with him. 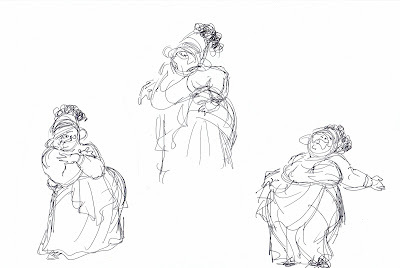 Occasionally I took friends or students with me on these visits to liven up the conversation and to offer a little stimulation. 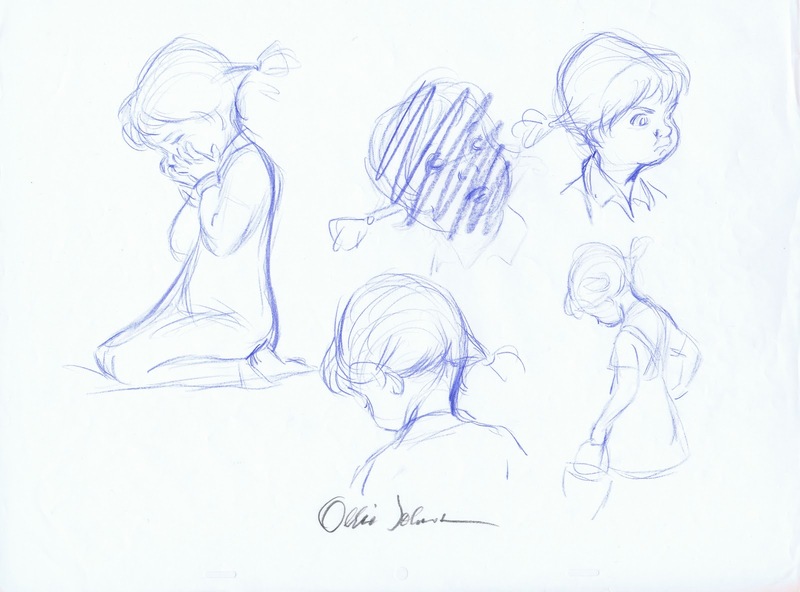 Ollie repeatedly mentioned how lucky he felt to have had that kind of a career at Disney, and to have lived that kind of life. He said he was at the right place at the right time.